This is 12 Gauge Winchester Longbeard XR 3" 1 3/4oz. 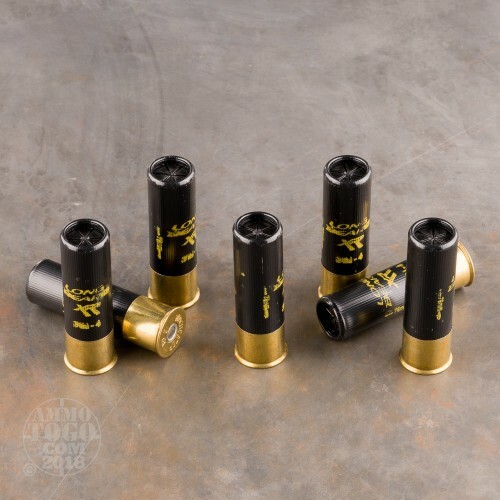 #4 Shot-Lok Lead Ammo. 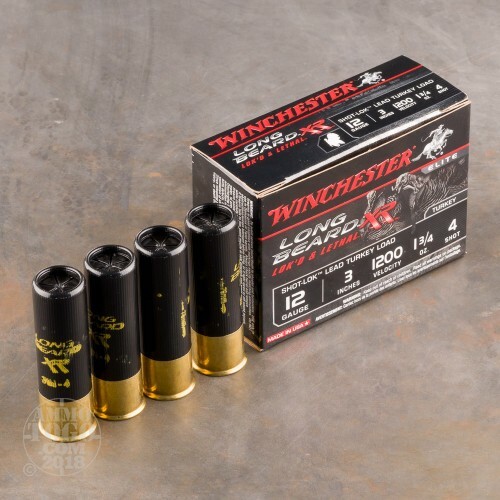 Featuring new-to-the-world Shot-Lok technology protecting shot during in-bore acceleration. 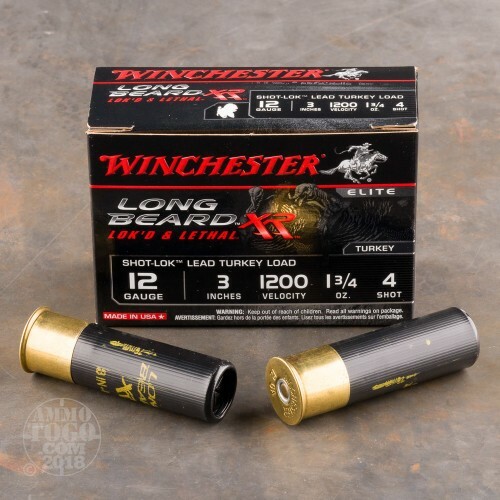 Long Beard XR offers the tightest patterns and longest shot capability of any traditional turkey load in history - with twice the pellets in a 10" circle out to 60 yards. 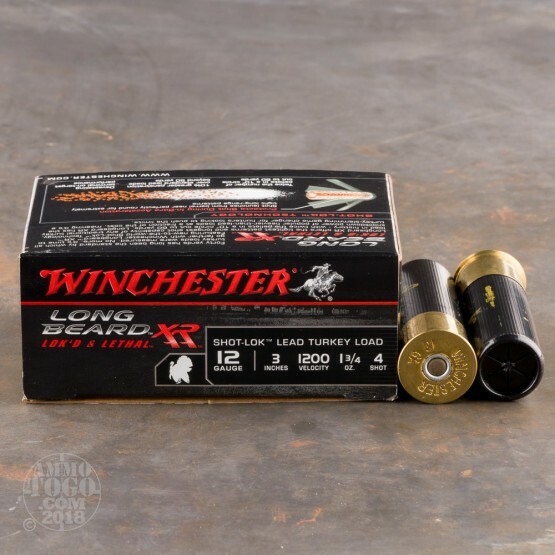 Long Beard XR has the knockdown power of popular heavier-than-lead loads and 10% greater penetration over standard lead loads beyond 50 yards, meaning it’s a turkey-slamming game changer for hunters looking to push the limits. It comes packed in 10rd. boxes. Muzzle Velocity: 1200 fps.